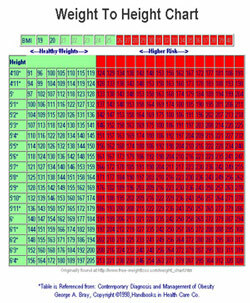 The easiest way to find out what a healthy weight is for you is to find out your BMI and refer to the chart to the below. What is the easiest way to acheive a healthy weight? Proper physical activity (3-4 times per week) and an active healthy lifestyle is most likely going to yeild a desired healthy body weight. Some people naturally have a high metabolism and being thin without having a healthy eating habit and healthy lifestyle doesn’t mean they are healthy; but a person who seems to be overweight can be healthy according to the Body Mass Index (BMI) chart. A BMI chart can be misleading if you are a person with plenty of muscle mass (such as athletes). Also, people with a low muscle mass may also find the chart misleading. Checking the waist circumference is also highly essential in evaluating the risk of high visceral fat that also increases the risk of diseases. Waist circumference varies from male to female. Men with waist circumference more than 40 inches and women with more than 35 inches are considered with unhealthy weight. The height to weight ratio also varies from men to women. Browse below and see how you fall on the chart. If you are more in the red you can be more at risk. The calculation of weight using BMI is essential in checking whether your body weight is increasing with the risk of diseases like cardiovascular disorders, obesity, cholesterol, high blood sugar etc. Other than height to weight ratio for determining a healthy weight, you can also evaluate your weight according to your body type. According to the easiness of gaining body weight, body types are classified as ectomorph, mesomorph and endomorph body types. Usually someone who is an ectomorph will have an easier time to stay in a healthy body weight which is determined by the BMI chart. While a BMI below 18.5 is considered underweight and anyone falling in this category should consider looking into learning how to gain weight and see a medical professional to assess why your BMI is so low. The normal BMI count is found to be between 18.5 and 25. You would not need to worry about seeing anyone at this time (with regards to your weight) as your BMI is considered normal. BMI between 25 and 30 is generally considered overweight. 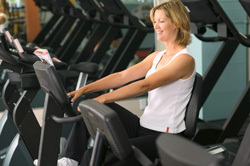 While those with BMI higher than 30 are considered withhigh risk of obesity and other diseases. A 2000 calorie meal plan that includes fruits, vegetables, and protein rich diet other than junk foods, oily snacks. A circuit training program or a 20 minute workouts is highly essential that includes heart healthy exercise without taking rests in between that helps to burn off the excess fat in your body. 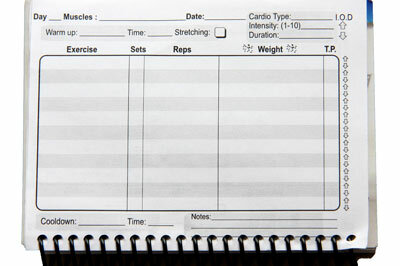 A weight training log is necessary as it includes the recording of weight training progress so as to evaluate the resistance and effectiveness of the workouts in order to manifest increased strength gaining. With the help of a diet calculator, BMI chart, body fat calculator and waist-to-height ratio, you can calculate the required amount of calories needed to gain 1-2 pounds a week. A hypertrophy muscle workout plan is an advanced muscle mass exercise is set according to changing repetition by week, sets and weights so as to improve muscular and cardiovascular strength. A healthy calorie packed meal plan includes meat, egg, dairy products,nuts, eggs, poulty, turkey, fruits and vegetables.